We’re excited to announce that, to celebrate our recent makeover, we’re offering our unique accounting software free for life. If you sign up to inniAccounts before 31st January 2010 (extended until 31st March 2010), you’ll have free access to inniAccounts Lite for as long as you’re with us. That’s a saving of £7.95 per month. 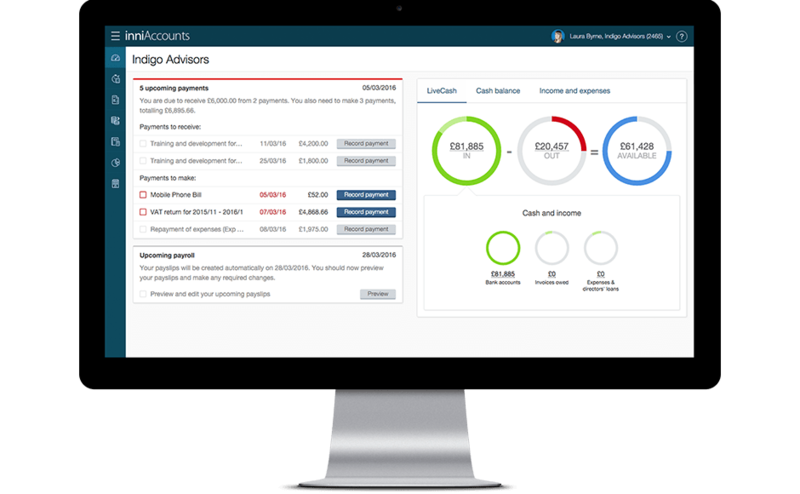 inniAccounts is the leading accounting and bookkeeping software designed specifically for contractors, freelancers and consultants. Our innovative features make running your contracting or freelance business a breeze – from tracking time and raising invoices, through to managing expenses, payroll and paying dividends. inniAccounts removes the complexity of running a tax-efficient limited company, allowing you to make significant tax savings every month. Our real-time accounting features give you instant access to your finances, so you’ll always know exactly where you stand. inniAccounts Lite, our basic accounting package, is available free, for life, to customers who join before 31st March 2010, saving £7.95 per month. Contractors and freelancers who require more control can choose inniAccounts plus for a mere £14.95 per month. In addition, our premiere package – inniAccounts Premium – offers unrestricted access to our innovative software, combined with the support of a complete accountancy service from our expert team, for just £74.95 per month.